With the growth of mobile banking and contactless payments, managing your money anytime and anywhere is simple. Once you’ve set up your Irish bank account, the rest is pretty seamless. A bank account is a must for managing your day-to-day finances. Current accounts allow you to make daily transactions, pay bills, and are usually where your salary will be deposited. Savings accounts allow you to build your savings and earn interest. The most popular banks in Ireland are Allied Irish Bank (AIB), Bank of Ireland, KBC and Ulster Bank. While all of these financial institutions offer in-branch services, banks in Ireland tend to close early (4pm) and many branches are closed at the weekend. Online banking via the online banking services and apps is possible once your register with your bank. To open a bank account, you will need to provide both photographic identification (valid passport or Irish/UK driver’s license) and proof of address (recent utility bill, car or home insurance certificate, official document from the Revenue Commissioners, or a letter from your employer which states you’re living in Ireland). Ensure you understand the conditions and fees associated with your account. Some services offered as “free” may be dependent on keeping your balance over a certain amount. The Consumer Protection Commission offer a helpful comparison guide for the main current accounts available in Ireland. When you first arrive, you should be able to access funds using cards issued by your bank at home. 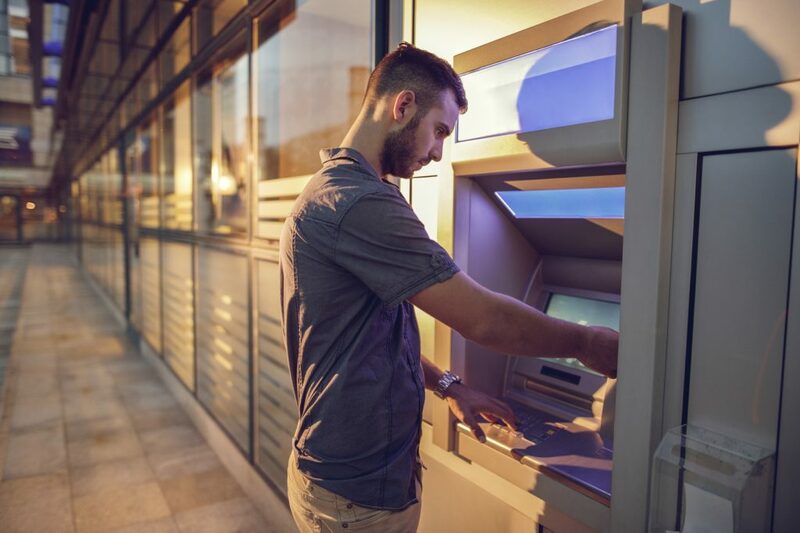 ATMs are widely available outside of banks in Ireland, but also increasingly in convenience stores, supermarkets and even in many bars. You can make credit card withdrawals from ATMs, using any Visa, MasterCard and ATM cards with the Cirrus or Plus logos. If you are from outside the Eurozone, you may be charged a currency conversion fee with each withdrawal. Most larger retailers will accept Visa, MasterCard and debit cards while some smaller retailers may accept cash only. The vast majority of cards in Ireland are Chip & PIN, which means there is no signature necessary. If you wish to use your non-Chip & PIN card, you may be asked for additional photo ID. Increasingly, Contactless Payments are authorised for transactions up to €30. It is advised that you contact your current bank before you move to ensure your cards are activated for use in Ireland. Many services such as phone, internet, electricity and water are paid for through monthly or quarterly bills. Most bills can be paid online, or in person at your local post office. You can also usually choose to set up automatic payments via the direct debit system, which makes managing your finances even easier. The cost of living refers to the cost of maintaining a certain standard of living. People living in Ireland enjoy a much better cost of living than in other tech cities, like London or San Francisco and 87% of people in Ireland are satisfied with their standard of living (OECD). In general, the cost of living in Dublin will be higher than in smaller towns, but of course, there are many benefits to living in the capital too. The global, crowd-sourced database Numbeo provides a comprehensive and up-to-date Cost of Living guide for Ireland, while the Expatistan calculator allows you to compare affordability in Ireland to your home country. For more on the cost of living, see our Quality of Life page.